Children often look forward to entertaining guests and welcome the opportunity to be included in helping with holiday meal preparations. With that in mind, parents can enlist the help of their children in making some or all of the recipes listed below. 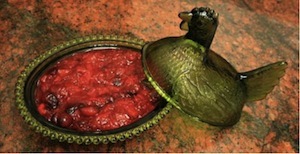 Click on the selected links below to locate the direction(s) of the recipe(s) that interest you. The variety of ingredients provides an interesting lesson in the origins and forms of food; and little hands could help with the mixing and serving. This holiday season, introduce some new salads into your holiday menu planning. This recipe contains a Montessori presentation of making applesauce. Use this Montessori presentation for making delicious apple-cinnamon muffins. 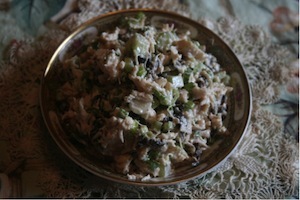 This is a hearty staple for any holiday meal. Whet the appetite of your guests with this delicious dip. This recipe includes a no-knife version for younger children. 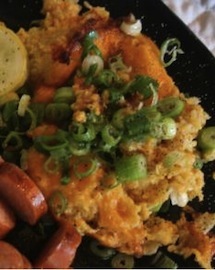 Here are some more easy, nutritious and festive side dishes for the holidays! You will even find some gluten-free side dishes. With adult supervision, children can make some of the delicious dishes! This recipe is an easy and fun activity that you both will enjoy. Children can participate in separating the eggs, measuring and mixing the ingredients. You family will love the green cake!! other relatives, even though they look like catchers’ mitts after they bake. 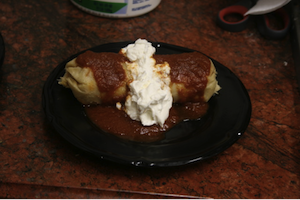 Delicious with whipped cream, yogurt or sour cream on the side. Nuts, graham crackers and chocolate pudding al rolled into deliciousness! Be creative and decorate with berries and a little powdered sugar for a winter holiday winter cake or use blueberries and strawberries for an American motif. Serve alone or with whipped or ice cream. Either way, it’s delicious! 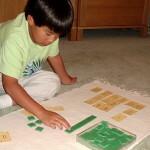 Depending on age, children can participate, supervised by adults. This is a delicious treat that friends and family will enjoy. 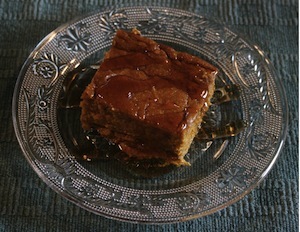 Try this German recipe and discover a light, tasty dessert that will be enjoyed by family and friends. Try this alternative to the traditional flan recipes. “I thought that I would put together a list of Christmas homeschooling resources. I have seen a lot of great stuff floating around the web lately. 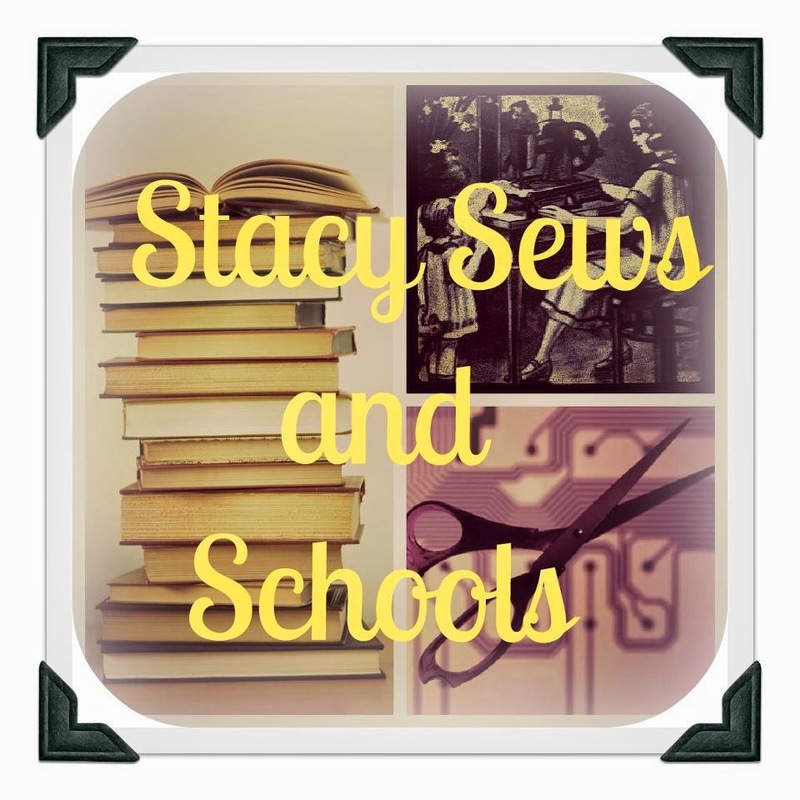 🙂 A lot of these things can be found on my Pinterest boards.” For details, please see http://stacysewsandschools.blogspot.com/2012/11/christmas-homeschooling-activities.html Stacy Sews and Schools. “No other time of the year is filled with as much excitement and gleeful expectancy as Christmas, and no one seems to enjoy the season more than children. Christmas is a time for making memories. And musical memories are one of the most precious gifts we can give the children we love. Authors Joni Eareckson Tada and Bobbie Wolgemuth offer some of their favorite Christmas carols in this collection for children to cherish. This treasure book will give your children a special vision of the true meaning of Christmas. 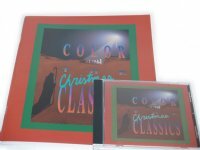 Let the children you love celebrate the joy and warmth of Christmas with heartwarming stories and singing along with Joni, Bobbie, and the children on the enclosed richly orchestrated CD. In this third volume of Hymns for a Kid’s Heart, Joni Eareckson Tada and Bobbie Wolgemuth collaborate to help you teach twelve classic Christmas carols to the children you love. With richly orchestrated music, true stories, prayers, and Scripture, Christmas Carols for a Kid’s Heart will feed your child’s soul during the Christmas season. Passing along a favorite Christmas tradition has never been easier or more fun. This yuletide collection features twelve timeless and traditional Christmas carols with delightful stories from the Bible, devotionals, simple piano music, guitar chords, and beautiful original illustrations by Sergio Martinez. “Where did we get our Christmas carols? Why did it take 4 men 115 years to write “Hark! 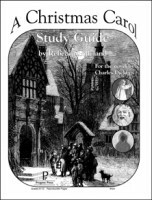 The Herald Angels Sing?” Your kids (as well as yourself) will discover the origins of the Christmas carols. How long did it actually take to compose “Messiah?” This Christmas remember the carols that honor Christ! With the carols playing in the backround, your children will color the illustration while you retell the carol’s story. This is a great family holiday activity to start shortly after Thanksgiving. How the Program Works -Have the child start coloring or painting an illustration. -Take the information from the book that describes that illustration and retell this information as a story. -Play the music that belongs to the illustration. -Have the children finish the picture. This multi-sensory approach will lock the experience in your child’s mind. The original purchasers of these books have the right to reproduce the illustrations for use with their own children only. (Total time for Christmas CD: approx. 45 minutes)” Purchase from http://www.workshopplus.com/productcart/pc/viewPrd.asp?idproduct=2730&idcategory=0 Nature’s Workshop Plus! 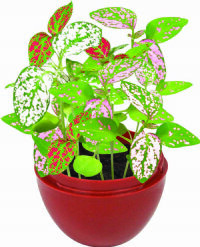 Purchase from http://www.workshopplus.com/ProductCart/pc/viewPrd.asp?idproduct=2180&idcategory=0 Nature’s Workshop Plus! “With her father away fighting in World War II and her grandfather too sick to create the traditional luminaria, Luz helps create farolitos, little lanterns, for their Christmas celebration instead.” Please see https://www.literatureplace.com/Books/Farolitos+of+Christmas/ Literatureplace.com for details. “Warm and joyful tales from the memoirs of Yorkshire, England veterinarian, James Herriot. In addition to his well-known 5-book series, All Creatures Great and Small, he also authored 8 children’s books. 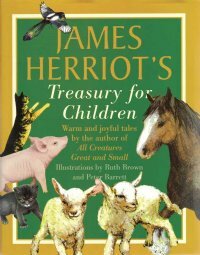 James Herriot’s Treasury for Children contains his complete set of 8 children’s books in one large, beautifully illustrated volume. Each story features adorable animals, pleasant townsfolk, and all the warmth and good humor that have made his stories so beloved the world over. You and your children will be captivated by the beautiful, realistic artwork which makes the stories come alive and sweeps you away into the English countryside! The 8 stories are entitled: Moses the Kitten; Only One Woof; The Christmas Day Kitten; Bonny’s Big Day; Blossom Comes Home; The Market Square Dog; Oscar, Cat About Town; and Smudge, the Little Lost Lamb. This collection of stories is especially good for reading aloud with your little ones gathered around looking at the pictures! Enjoyable for the entire family. 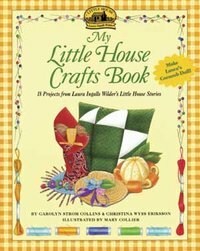 250 pages, hardcover, 8 1/2″x10 3/4.” Purchase from http://www.workshopplus.com/productcart/pc/viewPrd.asp?idproduct=537&idcategory=0 Nature’s Workshop Plus! 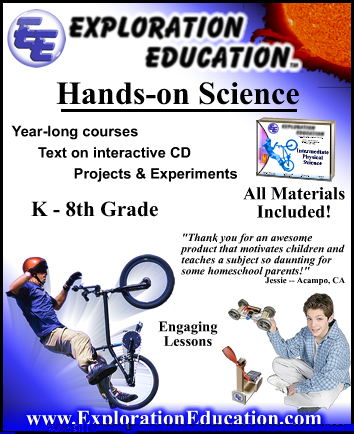 Purchase from http://www.excellenceineducation.com/mm5/merchant.mvc?Screen=PROD&Store_Code=EIE&Product_Code=ACCSG&Category_Code= Excellence in Education. 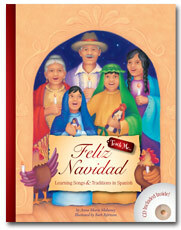 “Celebrate the Christmas season while you learn your favorite carols in Spanish. 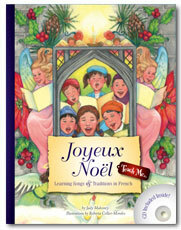 “The Teach Me…Christmas title is a bilingual celebration of Christmas tradition in France through the magic of song. This beautifully illustrated book will teach the reader about the rich heritage, culture and beliefs of France during this delightful season. 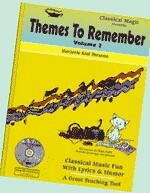 Narrated and sung in French along with an English version and translation. 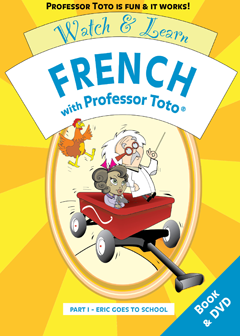 Visit http://www.singnlearn.com/Item/frenchchristmas for more details. 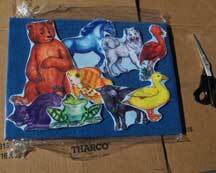 “Start a new tradition with the children in your life using Story Time Felts unique Christmas felt products. Help children get ready for their favorite holiday with our traditional felt board stories, or reinforce skills with our activity felt books. Our felt fabric advent calendars help them count down to Christmas and make great gifts for children and adults alike! Check back frequently to this blog for some additional winter and holiday creative idea lesson planning ideas in the weeks to come. The colors and images we associate with spring are delightfully inspirational for creative projects. 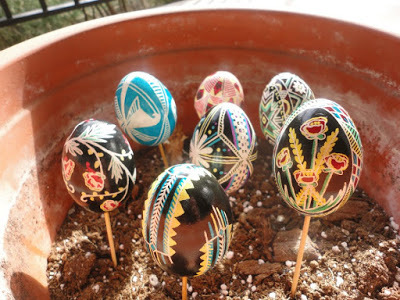 Why not celebrate the season with some fun art and craft projects and studies! Now that you have been inspired, create some spring-themed art of your own! Autumn brings so many beautiful and interesting changes to the world around us, it just seems natural to incorporate seasonal themes into lessons. It is also a wonderful time to make the most of some unique opportunities outside the classroom. Get inspired and get into the spirit of autumn with the following ideas. 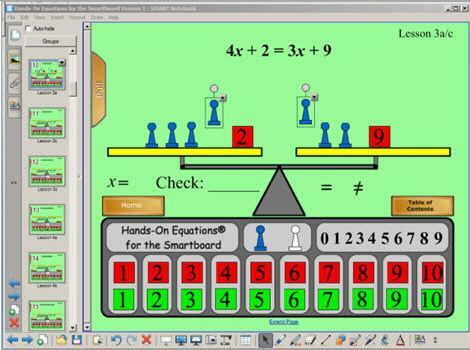 Here are some more resources and ideas for extended lesson plans in other subjects. If a subject is new to you or beyond your personal experiences or education, why not invest in a specialized curriculum. Beautify your whole year with handwriting practice and/or calligraphy lessons. For more fun art lessons which combine the coordination skills for drawing and writing, be sure to visit Draw Your World. http://www.drawyourworld.com Also check out their “Draw Write Now” book series for grades 1-8 and other art and handwriting materials in their on-line store. Dale from North American Montessori Center’s “Friendship Quilt” project http://www.amonco.org/creative5/montessori_fall5.pdf is a fairly short craft/sewing project. However, after students complete this quilt, perhaps they would be interested in collaborating on additional quilts. There are many charity organizations that look for donations of blankets or quilts. You will find some here. http://familycrafts.about.com/od/craftingforcharity/Crafting_for_Charity.htm A quilt could also be an attractive raffle or fundraiser prize. Once students feel a sense of confidence from the first quilt, having them help make an additional quilt or two (perhaps with varying decoration techniques to introduce new skills) will help them develop more of a feeling of mastery. Repetition builds familiarity. If you make a quilt for charity, you might also get students interested in other charity craft projects, as well. You can also get a good start on your year’s strategies and goals with some professional perspective and enrichment. Stay tuned for more lesson planning ideas and resources that will be published in the weeks to come.